In a new report issued by Maplecroft, countries were ranked according to where child labor was most prevalent. The countries that ranked highest include: Eritrea, Somalia, Democratic Republic of Congo, Myanmar, Sudan, Afghanistan, Pakistan, Zimbabwe, and Yemen. In these countries, poverty significantly contributes to child labor rates because families need the income children provide in order to survive. Other contributing factors include recent or ongoing experiences of conflict, a lack of adequate legislation and government enforcement, along with prevalent attitudes and beliefs that encourage and support child labor. Eritrea and Somalia tied for the number one ranking with both countries experiencing high rates of poverty and insufficient legal structures to adequately support efforts to combat child labor. In Eritrea the government supports several child labor practices; not only are children younger than 18 enrolled in compulsory military programs, but a national program also requires ninth through eleventh grade children to work in either agricultural or service jobs during their school breaks. In Somalia, the Somalia National Army and other non-government militias throughout the country contribute to the problem by recruiting, abducting and using children as soldiers. “Violence and child labour go hand in hand, and they keep the child hostage in a dramatic vicious cycle. Both compromise children’s development and education, as well as their adequate standard of living; they hamper children’s health, rest and play; and at times lead to the prosecution and deprivation of liberty of child victims…But beyond the serious and long lasting impact on individual children, child labor and violence have a high social cost, holding back human development and preventing progress in the promotion of equity and social inclusion.” said Marta Santos Pais, Special Representative of the UN Secretary-General on Violence against Children. Over the past decade, the world has made significant progress towards eradicating child labor with numbers dropping one-third, from 246 million to 168 million child laborers worldwide. Although an improvement, this decline is not enough and 11% of the world’s children remain out of school and working under conditions that are frequently hazardous to their safety, health and development. The Third Global Conference on Child Labour was held from October 8th through the 10th in Brasilia, Brasil to discuss what progress has been made worldwide over the past few years. Representatives from non-governmental organizations, national governments, and organizations for both employers and workers met to discuss how to overcome existing barriers and eliminate child labor on a global scale. 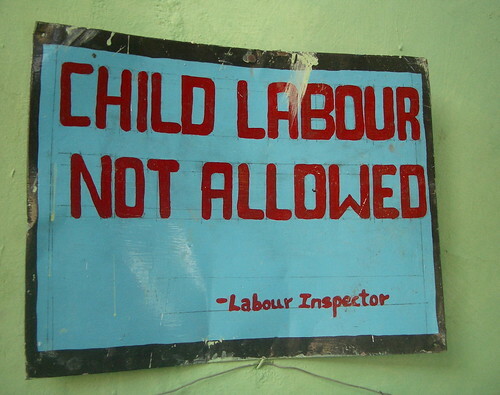 They concluded that countries and organizations must cooperate to work on changing existing attitudes and practices that continue to enable child labor practices worldwide.